UPDATE: Due to the worsening weather conditions, RTS has postponed tonight’s (2/12) Reimagine RTS Community Mobility Zone meeting in Henrietta. We will reschedule the meeting as soon as possible. Rochester Transit Service is bringing its Reimagine RTS initiative to various communities through a series of information sessions. The bus company will be in Brockport/Spencerport area tonight to share information on so-called mobility solutions recommended by a consultant. RTS spokesman Tom Brede says the company has determined there are certain areas where it doesn't make sense for RTS to run its big 40 and 60 foot buses. ``Think of the vehicle size, going from the big bus to something smaller. Also maybe take the Uber and Lyft model where you use an app or maybe you call RTS and schedule a ride," he said. Stage 2 of the Reimagine RTS transit study explores replacing traditional buses with alternative mobility options. Brede says information at these meetings will focus specifically on the zone RTS serves. ``We're only going to be talking about the Brockport zone at the Brockport meeting tonight. So if you're interested in what we're going to be talking about for Irondequoit, or Henrietta or the Pittsford area down to Eastview Mall-South East County area, you need to come to that specific meeting because we're only going to talk specifically about that zone at each zone meeting," he said. 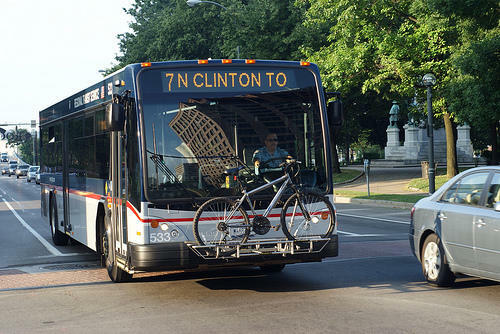 RTS plans to implement its reimagined transit system after completion of Stage 5 in 2020.